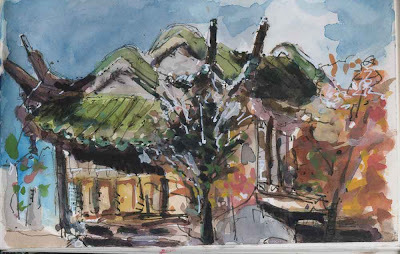 It was an uncharacteristically beautiful weekend here and I really enjoyed a walk with my sketchbook through Old Town. 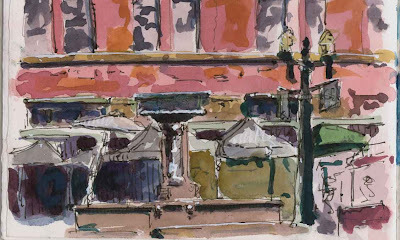 It was a bit chilly but the sun was warm and I sketched as the vendors setup their stands at Saturday Market. Then I wandered over to the relatively new Chinese Classical Garden. This would have been a convenient spot for a bathroom break (always a concern on sketchcrawls) but the $8.50 entrance fee was too steep for me so I sought comfort back at the market.